I had a chance to visit Vocademy recently to meet with Gene Sherman, get a tour and a much better understanding of what Vocademy is all about and what makes it different. Vocademy is a makerspace, but not your average makerspace. 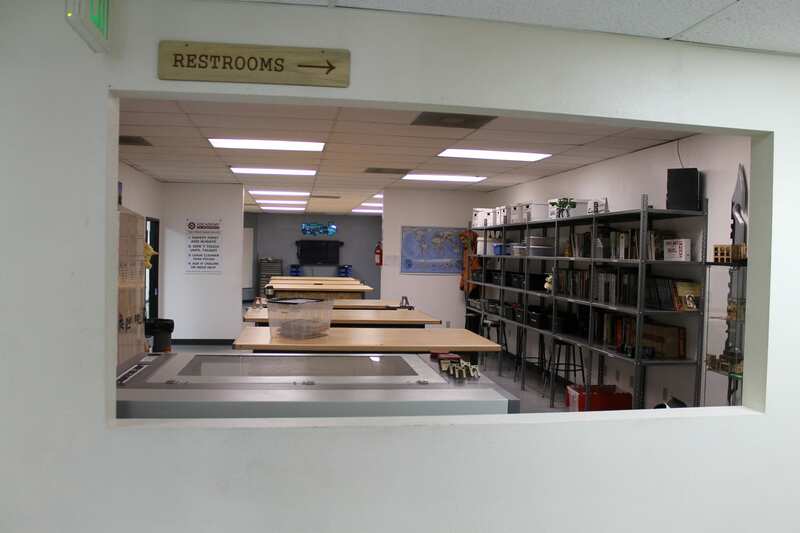 It is a hybrid of a makerspace and an education institution of shop classes, STEAM labs, and workshops. Today, I want to talk about a really worthy organization that is into 3D printing, among other things. That is a company in Southern California, actually in Riverside California, called Vocademy. We’ve talked about Vocademy a little bit off and on over the course of our episodes. We had a brief interview with Gene Sherman, the founder of Vocademy, at the SoCal Maker Con two years or a year and a half ago. There was just a short little interview. While I’m not actually conducting an interview with him for this episode, I did recently have the opportunity to go out and visit Vocademy. We heard a lot about it and met some people, talked about it, but we’d never actually been there. I took the opportunity about a month ago to go out and actually go see the space, meet with Gene Sherman, get a tour and a much better understanding of what Vocademy is all about and what makes it different. I have to say, I thought I really understood what Vocademy was all about just from the past interaction and conversations we’d had with them. Going there and seeing the facility in person was really important to completely understand it. Now, I’m going to hopefully be able to paint that more clear picture for you. I think this is really important. We all know makerspaces have popped up all around the country, all across the United States, I think in other countries as well. These are really helpful to gain access to machines and tools and things that a lot of people just couldn’t honesty afford to buy on their own. They want to do these great projects and learn how to these machines, because a lot of creative people just need that kind of outlet. Makerspaces have been a great way for people to share access to tools, everybody pays a little bit that they can afford and the makerspace buys these expensive tools and maintains them. That’s the typical arrangement. 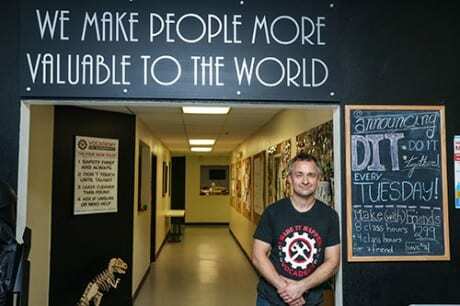 Here in California, there’s the Fablab is one kind of a makerspace. They’re all over the country and were started by MIT. Urban Workshop is another more commercial one, but there are also little independent makerspaces all over the country. I remember back when I lived in Providence, Rhode Island in the late ‘90s, I actually participated in, I call it a private makerspace. There was a collection of RISD professors and also students and former students that wanted access to machines and to share access to each of their machines. It was just a little private collective. We shared on the cost of the rents and brought all our machines in there and allowed everybody to use them. We’d even buy more machines as needed. Back at that time, we had our own business called Ttools that was making tech accessories for personal digital assistants, if you remember what those were, the predecessors to the modern smartphone. I made some real working prototypes of some of the products. We eventually manufactured and sold on the open market. I made them in one of those spaces. It was quite expensive. I think I was paying maybe 500 a month or maybe a little less for share of the rent and utilities and whatever cost we incurred. That was pretty hefty when you think about it, but for me it was a business expense and it was much needed. I did it. Today, makerspaces, to join them can be anywhere from maybe $50, $75, $100 a month. Some of them have different levels and different levels of access for paying different amounts of money. I think it can even get more expensive than that. I think I remember the last time I went to an Urban Workshop and looked at their price list, it got up there a bit, or you could pay for specific classes and all that. Still, there are standard makerspaces that really don’t offer a lot of education. They offer training on the machines because they want to make sure you’re trained properly to use the machines, so you don’t damage them. That’s very important. There’s not always classes. Some certainly do have them, with added fees and all that. I’ll tell you, when I really went to visit Vocademy, I learned how different they really are. A little background on Gene Sherman. For him, this is not a profit-making venture. At least not yet. I think he has a vision that it should and could be. For now, it’s not. In order to keep the doors open at Vocademy, he really has forgone any kind of a salary. He’s fortunate enough, with his spouse working full time, having benefits, he doesn’t need to take a salary at this time. It’s clear that this is a labor of love for him. What he really is trying to do is fill a major gap that is missing in our education system here in the United States in terms of what used to be called shop class or industrial arts in a simple sense. After really getting a good thorough tour and education myself from what Vocademy is doing, really what they’re providing is far beyond what even the best industrial arts program that I remember in the ‘80s, when I was in high school, was able to provide back then even when they were funded. I think as most of us know, in the decades since, most education budgets have been squeezed and shop class industrial arts was one of the first things to go among other arts programs. Our students, our community, our country here in the US is really suffering for that. Gene Sherman is trying to fill a major gap that is missing in our education system in the US in terms of what used to be called shop class or industrial arts. Gene sees a big gap and an opportunity to fill that. More than just an opportunity, because as I mentioned, they’re doing okay. They’re cashflow positive, not really tremendously profitable yet but they’re going in the right direction. It’s been moving in the right direction. Vocademy is really more about filling the gap to help people for the good of the community and companies that are close enough to them to be able to take advantage of what they have to offer, more than it is right now a profit-making venture. I do see it going that way. I think it can be. They accept donations of any kind and they have accepted donations to be able to expand what they offer and to keep the lights on. It’s getting to the point where they’ve got enough people participating in organizations, participating in learning and taking classes as well as using the makerspace that they’re doing all right. Hopefully, Gene will be able to start getting a real nice pay check sometime soon for what he’s doing, and realize his long-term version of expanding to have more Vocademies around California where they’re located, but anywhere across the country. Vocademy is a hybrid of a makerspace and an education institution of shop classes, STEAM labs, workshops, really filling the need that for a long time was filled by trade schools. There certainly are still some trade schools out there but even they are fewer and fewer. Like I said, it’s a hybrid. During the day, they are an educational organization. They provide educational services during the day to schools and also to corporations. 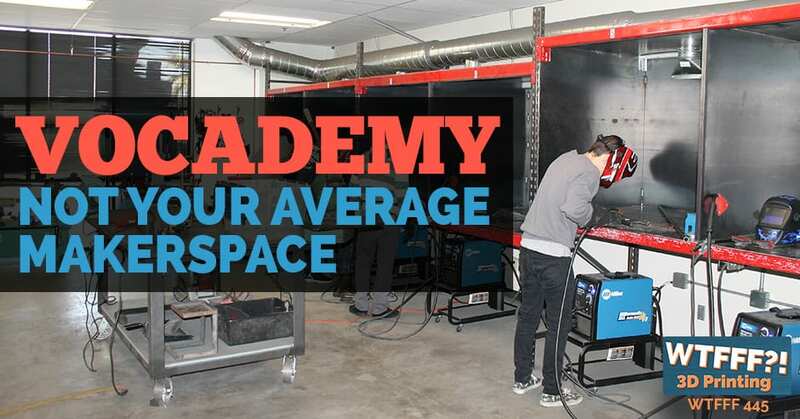 If you have a corporation here within driving distance of Vocademy and you have some employees that need to be trained in welding or need to be trained in different kinds of machines. Let’s say, you have a company where you’re going to buy a laser cutting machine for some of the production you’re doing, but you want to get someone with some training who’s going to be using that laser cutting machine. Corporations can send their employees in to Vocademy and get that kind of training and education to help them in their job and to help the company. When they can’t find enough skilled workers locally, you can actually send someone to be trained and grow that skilled worker within your organizations. It’s educational services to a lot of schools. There are local schools that, as I was saying, don’t have shop classes, don’t have industrial arts of any kind. Don’t even have art classes except maybe one day a month per kid. I know that even my daughter in her elementary school, art education here in Southern California in a good district that has more money than a lot, still art is like a travelling thing across the district. There’s no actual art teacher or art studio permanent within her elementary school. There is a big need. Schools actually send their students in. They bust them in to Vocademy to have training in industrial arts classes on a regular basis. Vocademy is the most comprehensive offering that I’ve seen under one roof. That’s one of Vocademy’s visions for the future, is to do that. To be that shop class educational and training organization. On the evenings and weekends Vocademy, is really more of a traditional makerspace. They’re open from 10:00 AM to 10:00 PM, seven days a week. You have to be fourteen years old or more because of a lot of the machines and the dangers that machines can pose to younger kids. I think that if you’re there with an adult, maybe they’ll stretch that age a little lower. I think I remember something about that, don’t hold me to it. I think that if you have student that’s just a little younger and you’re going to go as a parent with them or participate with them, I think that may be able to happen. It really is amazing to me, seeing all of the different kinds of educational opportunities that Gene has built into Vocademy. It is the most comprehensive offering that I’ve seen under one roof. 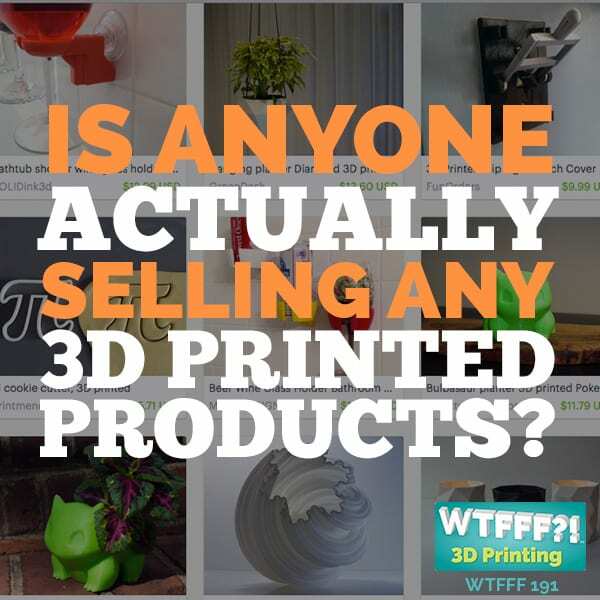 They do have 3D printing and scanning for sure. They have, as I’ve mentioned, laser cutting. They have a big industrial laser cutter. This is a bigger significant unit that’s a real professional commercial machine. They have those things. One of the things I want to point out is they’re not just bringing in 3D printers, putting them on a desk and allowing people to just have at them. Of course they have lots of classes to help teach people how to use them, how to do CAD and how to operate and use the 3D printer. 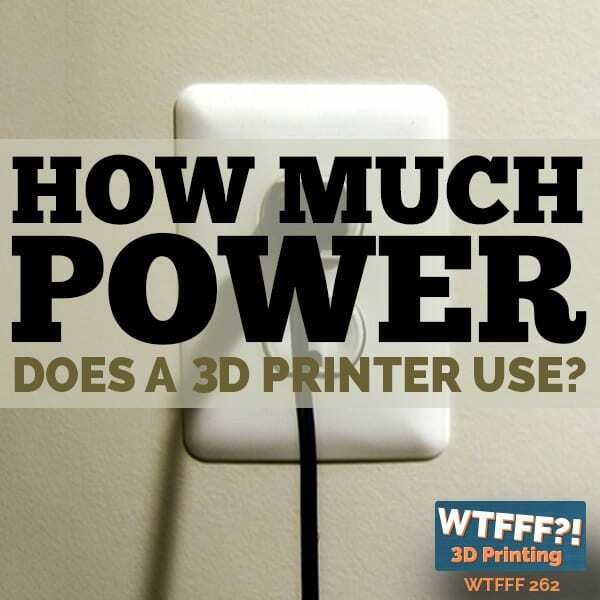 They’ve also gotten 3D printers in that they’ve beefed up. They recognize that a lot of people are using them. He told me they used to have a certain 3D printer and they got pretty beat up. Now, they have some new ones in. I think they’re like one of those imported machines that’s like a MakerBot Rep 2 clone. They don’t just put them in there. They have really modeled them out and put more robust stepper motors on them and made a really souped-up hot end. Part of that is to reduce the amount of mistakes that people can make when using them. Part of it is just to make them take a little more wear and tear because they get heavy use, and of course for reliability so they are not having to repair machines that are having issues daily. Especially with the calibration, that’s an important thing. They got those machines in. I’m going to give a little shout-out here to ToyBuilder Labs because they worked with Vocademy and have supplied those machines and have helped them, upgrade them. That’s great. ToyBuilder Labs, we’ve interviewed as well from a SoCal Maker Con episode about a year and a half ago. It’s nice to see them working together to help provide that experience for people who go to Vocademy. 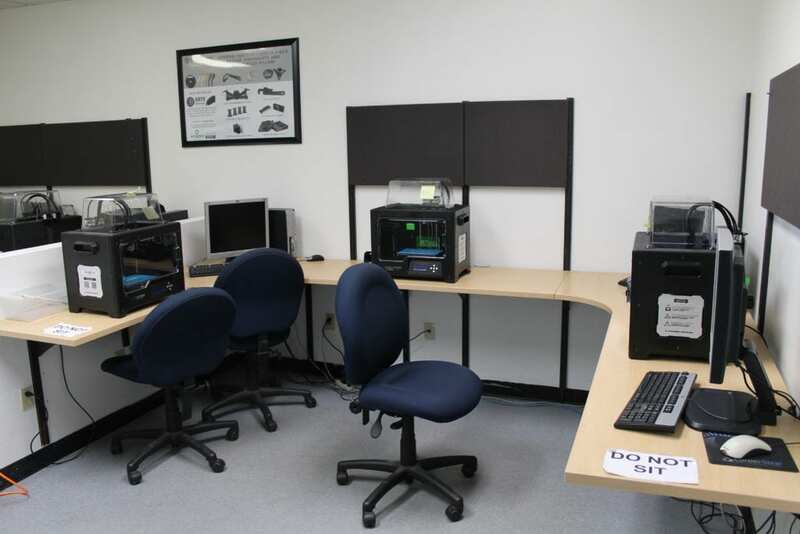 Going beyond 3D printing and scanning, they have classes and training classes on electronics and robotics, machine shops, CNC, milling machines, CAD/CAM and graphics. There was a Fusion 360 class going on while I visited there and I was thinking, “I just got Fusion 360.” There is a review of that software coming up on the WTFFF soon. I ended up buying Fusion 360. I think it might be really helpful to me to have a class to accelerate myself in understanding it. I’m actually thinking of going back to Vocademy in the not too distant future to do that. 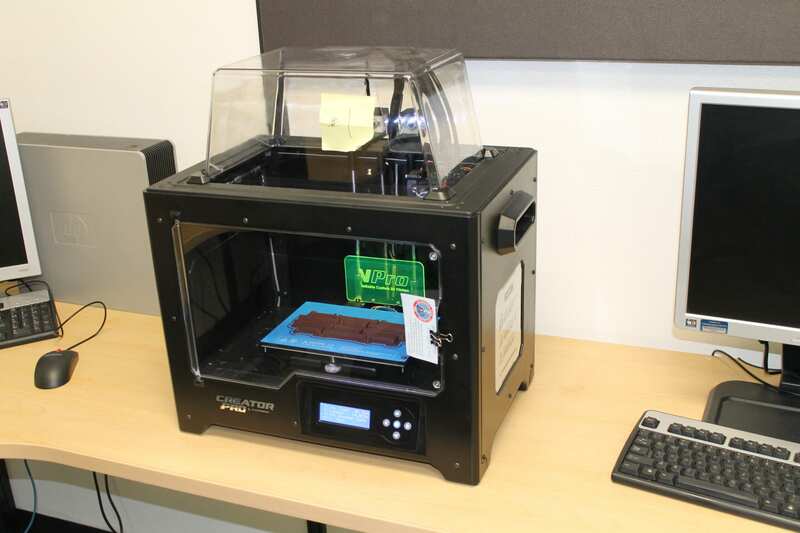 Going beyond 3D printing and scanning, they have classes and training classes on electronics and robotics, machine shops, CNC, milling machines, CAD/CAM and graphics. 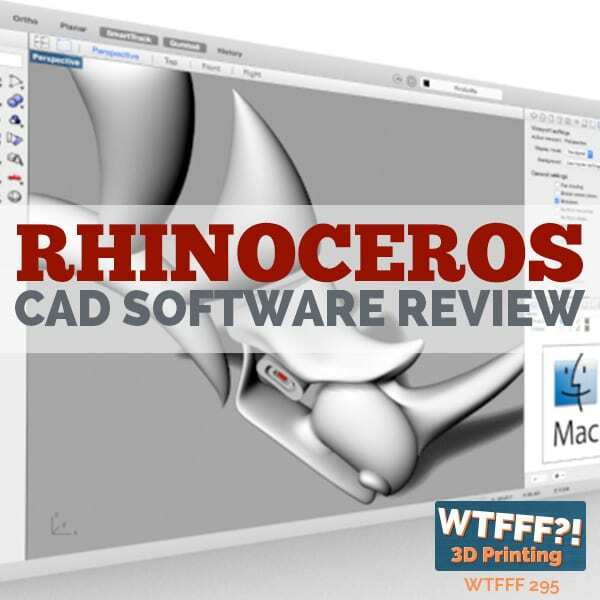 They have classes to teach you about CAD/CAM and graphics. They have crafts and hobbies. They do costume making, props for theatre, home and construction projects. They deal with all kinds of materials, metal, plastics, composites, everything. They have welding and fabrication. Their welding shop was really impressive, very well done. Through classes, they teach people how to weld and they’ve built all their own welding tables and all the booths where people do this work. Welding is a pretty dirty process. A lot of metal dust flying around and sparks and everything. You need the right kind of environment. 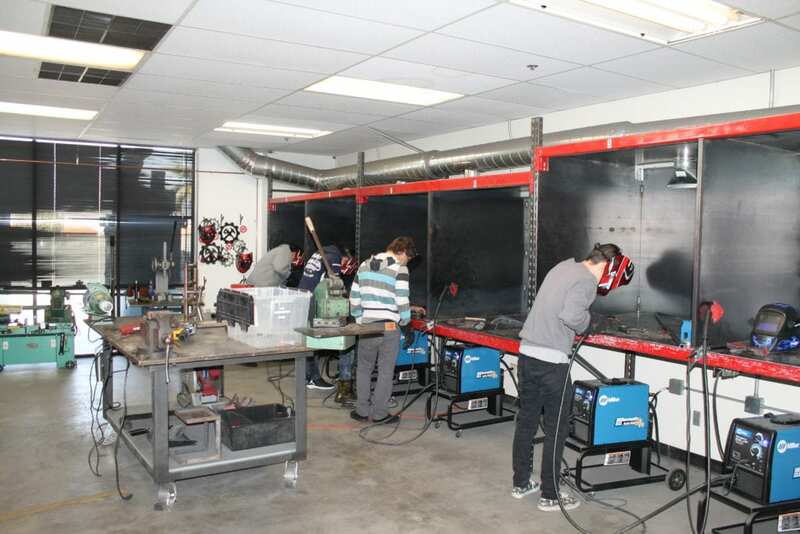 Instead of buying the stuff, they actually have taught people by building and made all their own welding setup. It’s pretty impressive. He’s got a really good employee there who works full time there. It’s a woman who is in charge of the whole welding department and the teaching programs there. I was really excited to see that. That is something you don’t see every day. Woodshop, programming and coding. Even if you want to get educated, instead of in some hand skilled craft, but you want to get involved in computers and programming and coding, they have that. Sawing and textiles, I was really excited to see this as an industrial designer who’s done a lot of work in the furniture industry, which of course involves a lot of textiles. They have a really impressive sawing lab with lots of different sawing machines. Everywhere from very good quality, what I would call home residential quality machines, all the way up to a nice professional commercial upholstery sawing machine, which is what I’ve used the most of when I was in school and even after school. I bought one for myself because I was doing a lot of projects involving fabric in order to test things out and make sure they’re going to work. There’s no better way than to actually make it. You’ve got to do it yourself. There’s just so many different kinds of workshops and classes that they have. I was just so impressed. The educational aspects on their site, they actually have a charter school which is working with students who, for one reason or another, had dropped out of school, or for some reason was not a fit for the standard education system. They actually, at this time, although they’re probably going to be moving next door the next school year to free up more space in Vocademy, right there onsite, they have a charter school and a lot of those students get involved obviously in learning skills that they may be able to use in a trade later in life. It’s a really great marriage between educational institution and practical education for real world use. It teaches things like working as a part of a team and leadership, all sorts of different aspects of life that are so important for our youth. I was so significantly impressed. I think it’s obvious at this point. Gene Sherman’s vision is that this is a model, this particular site is a prototype for other Vocademies in other areas around the country. What’s really amazing is not only what Vocademy is right now, but what Gene sees it as being for the future. His vision is that this is a model, this particular site is a prototype for other Vocademies in other areas around the country. The only thing stopping him from doing that is dollars, is money. It takes a lot of money to create one of these. Right now, as a part of a local community, there’s only so much money they can get from people that are using it. Corporations coming in and educating their people is helping that as well. They have a vision of having, around the country, a large Vocademy location, like what they’ve got. He was explaining to me, satellite smaller locations that could be in a school, whether it’s a private school, a charter school or maybe even a public school. You can have a small subset of all of the shop equipment and programs and offer at least some of it in your school. Remember how I was saying even in my school, high school in the ‘80s, when we had industrial arts programs, there are still five or six classes they had there and one big shop space that you couldn’t have everything there. No school could have everything really, no primary or secondary school or high school type could have all the tools they have for Vocademy. You can have some of it locally. Then, students get acquainted with a mini Vocademy within their school and learn about the bigger location that may be a short drive away. Then you can go take more classes on evenings or weekends there on the big Vocademy. He’s got this vision. His heart is in the right place. Boy, I want to see this really happen because I think it is needed. 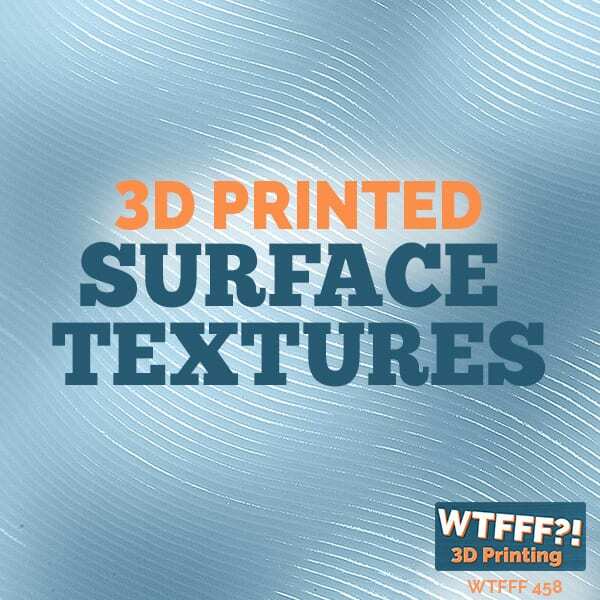 Not only for what we talk about all the time here at WTFFF, 3D printing, additive manufacturing, but all sorts of things. If 3D printing is the next industrial revolution here in the United States or around the world, it’s got to involve more than just 3D printing. While I love additive manufacturing for sure, it’s my passion, you can’t always make every product purely out of 3D print parts. There’s other materials. For furniture, you’re always going to have people that want parts of furniture made out of wood. You’ve got to learn how to manipulate that wood, how to process it. Where are you going to learn something like that? As well as laser cutting and welding. It’s so many different disciplines and types of products out there that require other materials, not just what we can 3D print right now, which is plastic, metal. Even if you have access to 3D printing ceramics, certainly from service bureaus you do, but I don’t know if locally in your area there is. You’ve got to learn about all sorts of different materials if you’re going to manufacture products in the United States. There’s going to have to be more skilled workers available that you want to be able to hire if you have a company that is going to be making some sort of product. If 3D printing is the next industrial revolution here in the United States or around the world, it’s got to involve more than just 3D printing. So much manufacturing moved overseas from the US. This kind of education has really vanished along with a lot of the factories because there was less need, because there were less factories or less jobs for that. I’m really excited to see it coming back because anybody who’s at all a maker or a creative type of person, engineer, designer, whatever, artist, you hunger to be able to create things, make things with your mind and your hands. You need resources to do it. Our kids growing up need to do it. As we’ve said many times on our podcast, as this happens, this additive manufacturing and more manufacturing goes back to the US. We’re working on this in our professional business as well, doing more things that are made in the USA, with these technologies. There’s going to be a gap of people, engineers, designers and workers to be able to make these things. Whether it is making the final product or prototyping and printing them out. They all need more education. I want to thank Gene Sherman for inviting me out to Vocademy. I had a great time. Spent some good time with him, he was very kind to take time out of his day and give me the real guided tour in great detail. Thank you very much for listening. We will be back for our next episode. Come leave us comment at 3DStartPoint.com or anywhere on social media @3dStartPoint. 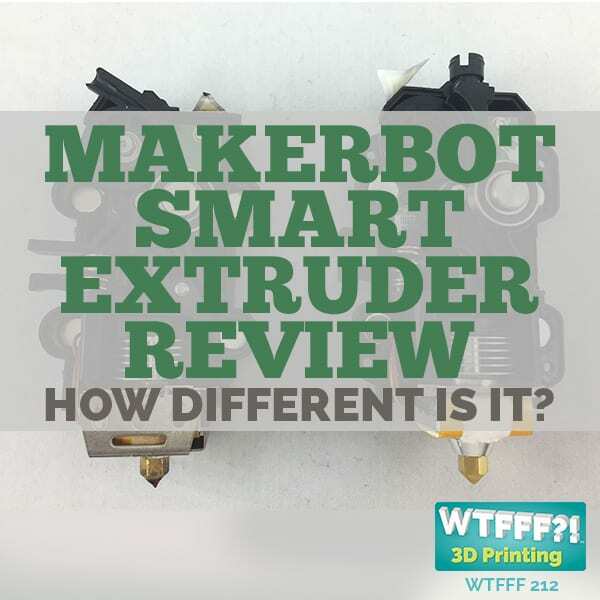 We will see you next time on the WTFFF 3D Printing podcast. What makes Vocademy different is during the day we are Vocademy. We provide educational services, classes to companies and schools. Companies send us employees, to train upskill reward, however they want to do it. Schools send us students in groups and teachers as professional development, because we’re making future shop teachers too. They learn the exact same stuff the students do. They go back to their schools and teach the stuff. Evenings and weekends, we are pure makerspace. Everyone we teach during the day and anyone in the community can come take classes and be members. That is the biggest difference. We serve corporate and educational during the day, and community evenings and weekends. Any of our corporate and educational clients can be part of our community. If your company pays you to come here to take a class, you or they can add membership and they’ve already paid for your training to use the equipment. Some companies give away Vocademy membership and classes as a gift, as a perk. What’s the cool thing is, the company gets something in return. You get an upskilled employee, “Bob, go take welding this weekend. When you get back to work on Monday, we need you to weld something.” They loved it because they got a free welding class and they’ve always wanted to. The company gets a person who has an extra set of skills. That’s the magic here, is that Monday through Friday we are Vocademy.